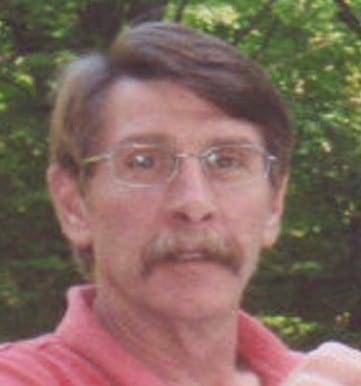 Ronald V. Chamberlain, 65, of Montpelier, passed away on Friday, April 5, 2019 at his home. He was born on May 27, 1953 in Toledo to Charles V and Marcella J. (Simmons) Chamberlain. Ron graduated from New Haven High School in New Haven, IN in 1971. On May 26, 1978 he married Rickalene L. Brown at St. Paul’s United Methodist Church in Montpelier and she survives. Ron began working at the Ohio Turnpike Commission in 1981, where he worked as a supervisor at the West Gate Toll Plaza. He finished his career at the Exit 13 Toll Plaza retiring in 2011 after 30 years. Ron assisted with the family business managing the Dutch Village IGA for approximately 7 years. He enjoyed playing golf, woodworking, remodeling, snowmobiling and spending time with family and friends in Northern Michigan. Ron was an avid reader and was a member of the Montpelier Moose. He is survived by his loving wife of 40 years Rickalene Chamberlain of Montpelier; three sons, Travis S. Chamberlain of Asheville, NC, Jared K. Chamberlain of Rosman, NC and Adam G. Chamberlain of Montpelier; one granddaughter, Caddisy R. Chamberlain of Montpelier; one sister, Sheri R. Rehklau of Camden, MI; one sister-in-law Gretchen (Stephen) Noiseux of Ipswich, MA; two nieces, Colette (Wayne) Waddington and Kendra Cassidy; two nephews Brandon Cassidy and Stuart Noiseux; and one great nephew Dylan Waddington. Ron was preceded in death by his parents, brother-in-law, Marvin Rehklau and mother and father-in-law Ronald J. and Helen L. Brown. A visitation will be held on Tuesday, April 9, 2019 from 2-8 pm at the Thompson Funeral Home on Main Street in Montpelier. A funeral service will take place on Wednesday, April 10, 2019 at 1:00 pm at the funeral home with Pastor Richard Blank to officiate. Interment will follow at Riverside Cemetery in Montpelier. Memorial contributions may be made to CHP Hospice or St. Paul’s United Methodist Church. Online condolences may be left for the family at www.thethompsonfuneralhome.com. 2 Comments on "Ronald Chamberlain (1953-2019)"
Your love of life, family and a highly inappropriate joke will be missed. You leave behind a great legacy of love and laughter. Ron was a great friend I remember him well, and when he married Rickii. God bless and comfort you at this difficult time.